It’s not just loud music or a tight deadline or even an impending visit from your mother-in-law. With so much going on, it can be hard to avoid headaches. 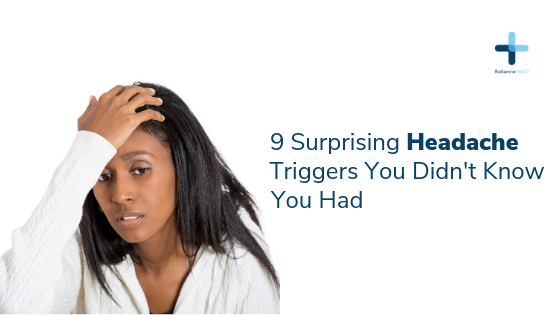 Headaches can be triggered by a host of reasons, some of which can truly surprise you. Your hair band: Tying your hair too tightly can strain the tissue in your scalp, which causes you to experience frequent headaches. Whether you braid your hair, make a ponytail, or wear a tight hat, all of them can trigger a headache. Usually, letting your hair down can sort out this problem.